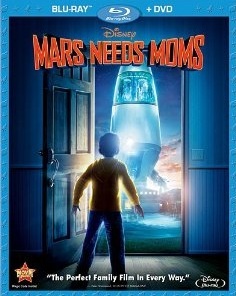 Movie Treasures By Brenda: Disney's Mars Needs Moms Fails At The Box Office...But Is It Any Good? Disney's Mars Needs Moms Fails At The Box Office...But Is It Any Good? It's not very often that Disney makes a movie that turns out to be a box office bomb but it looks like Mars Needs Moms was a wipeout. The newspaper I read (the Ottawa Citizen) said that Mars Needs Moms "was one of the biggest write-offs in modern Hollywood history." According to the Citizen, it cost $150 million dollars to make the movie (plus other sources say another $50 million to promote it) and earned $6.9 million in its debut, which put it in the 12th spot for worst openings of all time. Those figures are pretty powerful and I will admit that Mars Needs Moms held no attraction to me. My children are older and therefore the movie stayed pretty much in my peripheral vision but now that I have read how poorly the movie did at the box office, I am wondering if Mars Needs Moms was any GOOD. Wikipedia calls this film a "3D computer-animated sci-fi adventure comedy film" and says that it is based on the illustrated book of the same name, written by Berkeley Breathed. IMDB describes the storyline in few words when they say, "A young boy named Milo gains a deeper appreciation for his mom after Martiasn come to Earth to take her away." (I wonder if the short plot description has any meaning?) And the movie rates a score of just 4.1 out of 10. Rotten Tomatoes says, "The cast is solid and it's visually well-crafted, but Mars Needs Moms suffers from a lack of imagination and heart." The film struggles to get 34 percent grade of the Tomatometer. The trailer makes the movie look like fun but the reviews ah, well, they are not so good so I went looking for some information about WHY Mars Needs Moms did not do so well at the box office. In the Hollywood Reporter, Disney's President of Worldwide Distribution is quoted as having said, "The right audience came, but not in the numbers we needed." So that leaves us wondering why didn't they come to see this film? That movie fans do not always LIKE motion-capture technology. That the movie title with the use of the word Moms may have been a turn-off for boys. That animation works better when the characters are not people. That a movie with Mom being kidnapped might have been just a tad frightening for youngsters. Ebert Presents The Movie called it an "animated 3D time killer" and also focused on the dark subject matter of a Mom disappearing. The Movie Mom calls Mars Needs Mums a "decidedly second-tier Disney with third-tier visuals" and gives it a mark of 'C.' The film is rated PG for science fiction action and peril and she recommends it for children from the fourth grade up. So all of this has me wanting to see the movie for myself out of, at the very least, curiousity about why it did so poorly. If after reading all of this, YOU want to watch Mars Needs Moms, you can buy it from Amazon now in advance of the release date of August 9, 2011. I feel badly for the film-makers who obviously put a lot of time and energy into making this movie. It mus be pretty disappointing to invest so much effort in a projec tyou love and have it poorly received. We'd love to hear YOUR review of Disney's Mars Needs Moms. Buy Mars Needs Moms from Amazon. Read more about the movie at Wikipedia. Read the complete discussion at The Hollywood Reporter. See the reviews at Rotten Tomatoes. 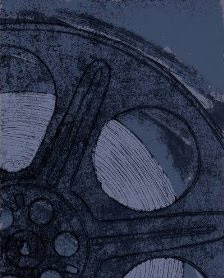 Watch Ebert Presents at the Movies review.